There are plenty of reasons many homeowners opt to go with Vacaville casement windows for their home. These are windows that are generally taller than they are wide. They are hinged on the side so they open to either the left or right. And, of course, they swing open and outward instead of the traditional sliding up. So while hopper windows are hinged at the bottom and awning windows are hinged at the top, casements are hinged at the side. Once opened they provide top to bottom ventilation. They can be used in singles or doubles within a common frame. They are held in place with a casement stay and generally open with mechanisms like a lever, crank or cam handle. There is a good reason we are considered the Vacaville door and window experts. Actually there are multiple reasons and part of it is because we can educate our customers on the different styles available to them. We sell a multitude of different lines and from nine different, reputable manufacturers. You have to be sure you trust in a trained and certified expert when it comes to casement window installation in Vacaville. Casement windows are a popular choice for those who would prefer an unobstructed view. This is ideal for homes located with views of lakes, woods, mountains and other scenic features. You can also let in as much fresh air and sunlight as you want. Yet you don’t really have to worry about thieves. These windows are very difficult to break into so once locked you can feel secure about the safety of your home and loved ones. Many people also like them because, once shut, they are secure from keeping noise out as well. Did we mention that Vacaville casement windows are also popular because they are more energy efficient? 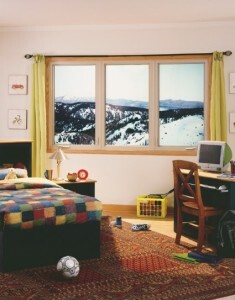 You can feel better about being green and also save money on your monthly utility bills with this style of window. But your best bet is to work with one of our experts here at FitzPerfect Windows - Doors and More. We can explain to you the different options we have and which one you may like the best for your home. If you are looking for Quality Casement Windows in Vacaville then please call 707-452-8844 or complete our online request form.